Twitter is indeed an amazing platform for all kinds of activities but its marketing tools are majorly blessed for you to utilize. Now it depends upon our intellect what we opt for. Twitter marketing strategies are one of the most auspicious ones available on social sites, in collaboration to the fact that twitter is a vast platform, readily available for advertisements and continuous engagement. Marketing on twitter is indeed cheaper than other platforms because it offers multiple bundles to choose from when you decide to market and advertise your brand. In addition, here is how you can begin your successful campaign. The platform offers three options for business marketing; promoted tweets, promoted accounts and promoted trends. 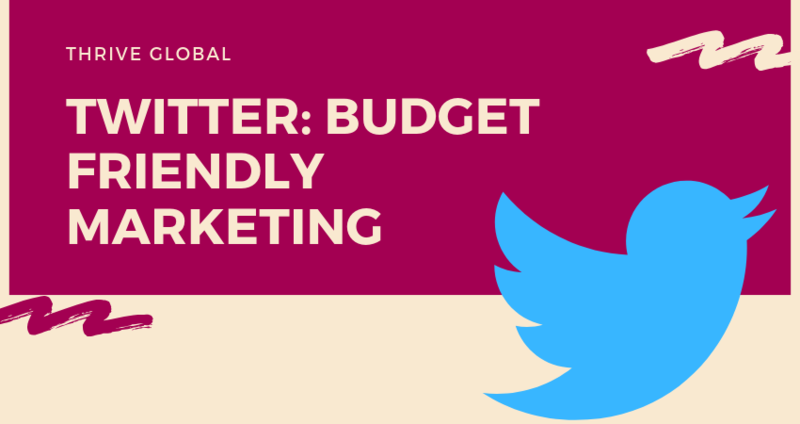 From these however, promoted trends is the expensive one and since we are trying to stay in a budget, lets just skip this one whereas the Promoted tweets is the way to go with many of its benefits and staying in budget opportunity. These are readily accessible in the most common areas of the platform, such as search results and twitter stream. On people’s profiles, promoted tweets appear as updates which are enlarged and also and on management utensils such as HootSuite. To begin with promoted tweets, you would simply need to sign in on Twitter Advertising through ‘Twitter for Business’. Now you can log in any time you want. Once this has been done, you can view the interaction point. There you will be able to choose your own location where you want your tweets to be targeted at. Once that has been accomplished, you simply view the Promoted Tweets tab and begin your procedure. This is also the platform to finalize your budget and the start promoting your tweets. Since promoted tweets are a part of the Twitter platform itself, the exposure provided to your selected tweets is quite vast indeed as it even appears on Twitter management tools as well. The main purpose of any advertisements and marketing strategies is to lure in followers to view your amazing tweets and in short, become a part of brand promotion. Guest blogging takes too much time to develop this relationship and is definitely more expensive. With all the facilities provided by twitter, Guest blogging outcomes come no way near. You can use a keyword in a hashtag to promote your tweets and spend as less as $20 and reach up to 40,000 impressions which were paid and if you are feeling lucky, might earn a bonus worth another 15,000. Not to forget the extremely fair payment regimen. You only pay once you have accomplished your goal. You might have noticed that twitter population mostly contains high professionals and a more influential audience compared to other platforms. So, Twitter makes you available in their radar. One of the most genuine reasons to be on twitter marketing is because of how cheap it can be. You will be amazed with the outcome of $50 gone into the right place along with a custom audience list. Expert Senior digital marketer with hands on knowledge of Search engine optimization, social media & services marketing. Twitter Marketing Tips; What Should You Work On?